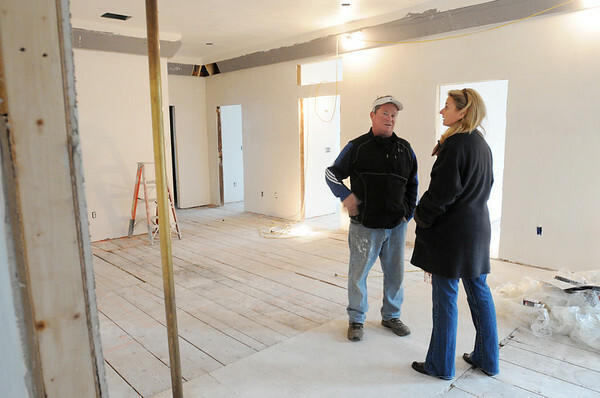 Steve Hayes and his wife Lisa in the family room of the second floor in their Phillips Beach Fire Station which is now being transformed into their home. The fire pole is in the foreground on the left. Photo by Ken Yuszkus/Salem News, Tuesday, November 30, 2010.